Hope you’re all having lovely Thursdays, today I bring you a NOTD, just a bit of nail fun that I thought up last night. A couple of weeks ago I was out to buy Barry M’s Bright Pink which you can see me wearing here and I accidentally bought it in the shatter effect polish, blame being in a rush! Though I wouldn’t have chosen it, I wanted to find a fun way to work it into a manicure now that I have it in my collection, and now I’m really loving it as part of today’s mani. I started off by choosing a colour that I thought would create a cool clash with it for a base, and I opted for one of my favourite polishes which is Rimmel’s Grey Matter which is the perfect grey, and so versatile. 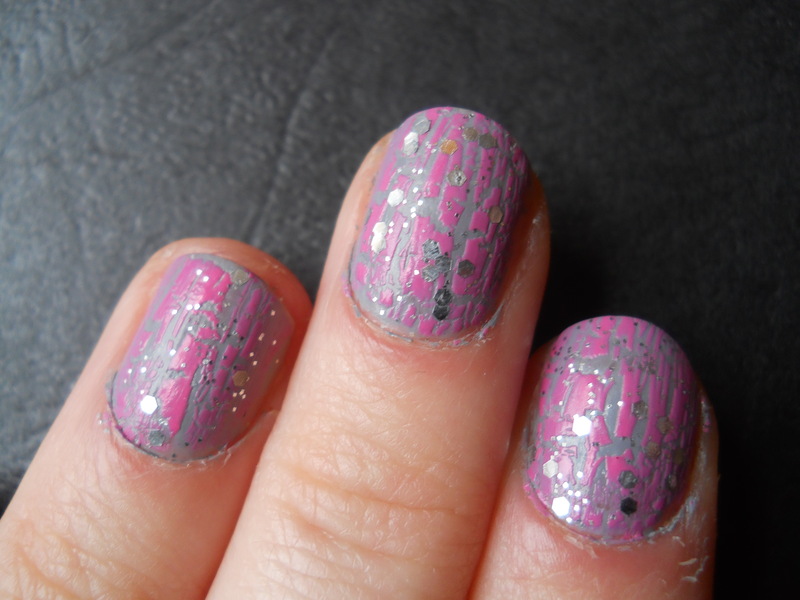 The pink and grey looked fab together, but they were still too dull, so I decided to sparkle things up with a glossy and glittery topcoat. For this job I chose Disney at H&M’s Confetti Kisses which unfortunately isn’t still available, but which consists of large hexagonal glitter pieces. There are loads of glitter polishes like this out there so I’m sure you can find a dupe quite easily, Barry M’s Hologram Hexograms would do the job. I love the way this turned out and I’ll definitely be combining these polishes again, buying the wrong polish seems to have worked out for me! 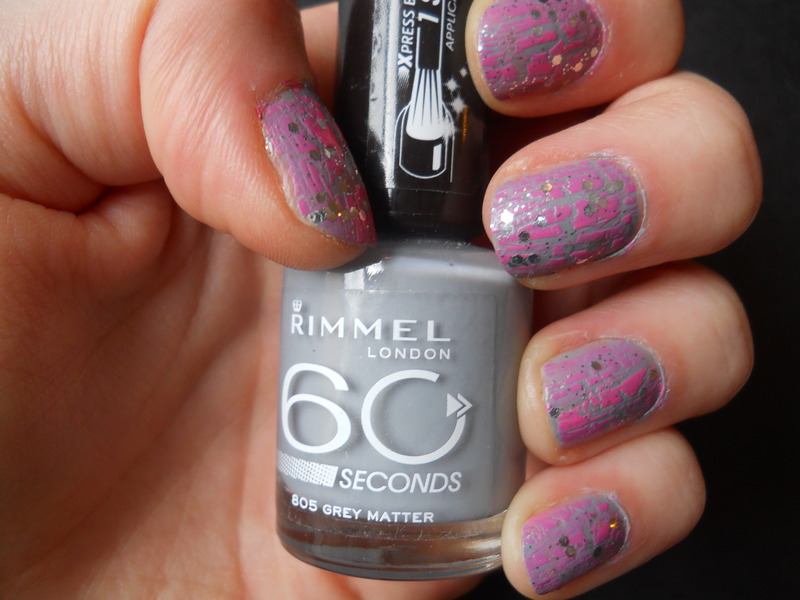 As far as wear goes Rimmel 60 Seconds polishes are generally very good and super affordable, and Grey Matter is opaque in one coat. Barry M polishes are some of my formulas as they’re really durable and super opaque as well so I’d definitely recommend them too! Disclaimer: All images were taken and are owned by me. I am not affiliated with any brands or companies mentioned, I paid for these products with my own money and all opinions are my own.